On hearing the gold was to be found people left their homes, jobs and there servants, and set off to go and dig for gold. On the gold fields there were no roads to the gold fields and no shops or houses there. People had to carry everything, and had to travel by horse or bullock. Some people had to walk and have a wheelbarrow with all their things in it. At first there were mainly men on the gold fields, but later they joined their families. There was violence on the gold fields, there were fights mainly over claim, which are big holes in the ground where 2 or 3 people in there where they have to dig in it. 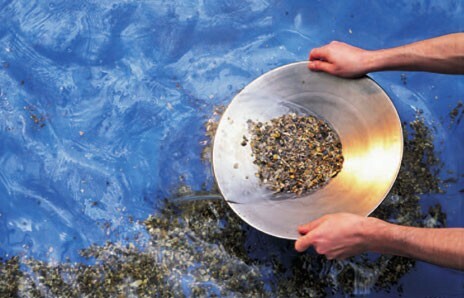 Gold is a very rare metal, it can be found in rocks and in river sand. At first people looked for gold in streams at the top of the surface. During the Gold rush people had to have a licence to be able to search for gold. 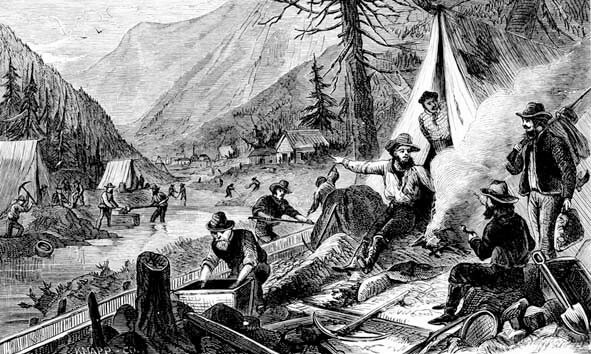 Within a week of the gold rush there were 400 people looking for gold and by June there were 2000 people. Some people were very lucky and found lots of gold and some not as much. In 1853 the news spread across to the Chinese people, their country had been suffering for years of wars. 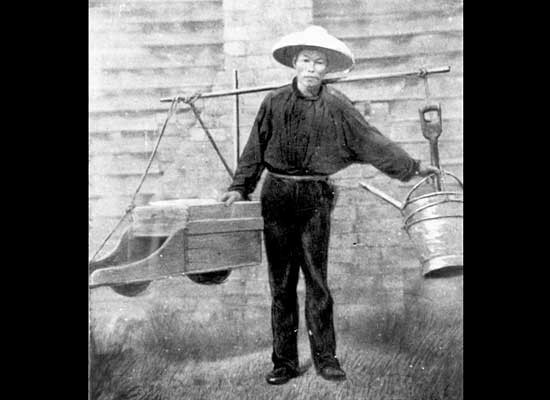 When the Chinese arrived at the Australian gold fields they all stayed together in teams and had a head man in charge. The Chinese worked hard and lived simply, and sent money to their families to feed them. The Chinese were treated badly on the gold fields because they were different to the Australians. In the early years of the gold rush there were very few woman, some of the woman were diggers or some working as shopkeepers on the diggings. Most of the woman lived with there children with a small amount of money to live on, and feed themselves and their children. A few years later the woman took their children to join their husband's when the conditions improved. The living conditions were cramped, and the woman had to do the washing, ironing and cooking. The woman also had to make clothes. Soap, bread, butter and jam for their families. In the early hours of Sunday, 3rd December hundreds of soldiers and police attacked the Stockade. There were 200 or so miners left in the Stockade., and were quickly defeated. The battle only lasted for 20 minutes. In that 20 minutes there were about 22 diggers and 5 soldiers were killed . One of the leaders was badly wounded.